Ok folks, it's time. Some of you may remember that a few years ago I mentioned that I'd seen renderings of what the proposed new West Side stands would look like. They've now released those images publicly and are sending out information to donors and Leatherneck Club members to start raising money for the project. More details will follow, but the initial goal is to raise $10M of private money over the next 4 years, likely with construction starting once they have enough pledged funds (so construction may actually start sooner, but we'll see). And remember, we'll need people to step up and help make this happen, so take a look at what you can afford and see if you can help make this thing a reality very soon...no donation is too small. I'll be sure to post donation information as soon as I find out. I like it. Modest and appropriate for where we are right now. Love those seating terraces on the south hill too (actually they might be more of a walkway, but I could see parking my own chair there and a cold one in the cupholder in my armrest). The loge seating under press box is also a very nice touch. Only improvement I would make is to add a more symmetric look to the west-facing exterior brick side. The Big W is nice but seems like it needs a partner. How about a huge Rocky logo on the south end of the wall to match it? Last edited by sealhall74 on Tue Dec 13, 2016 12:23 pm, edited 2 times in total. Looks really nice. Hopefully the funds can be raises. That looks nice. Would love to eliminate the walk way and track to get fans close to the field but that probably not feasible. Could move the walk way under the stands with tunnels to the seats. yokedneck wrote: That looks nice. Would love to eliminate the walk way and track to get fans close to the field but that probably not feasible. Could move the walk way under the stands with tunnels to the seats. Yea, I've been talking about that issue with some people over on AnyGivenSaturday. Tracks around football fields are not great, but without the money to build a new track facility elsewhere on campus, it's not really possible at this time. Maybe someday we'll eventually be able to build a new track over at Vince Grady Field, maybe have it enclose the soccer field and then have those movable metal bleachers along the sides. Then we could take Hanson Field, dig it down a ways, and put in another section of seating "below" the current section. But again...it all comes down to money. Frankly speaking and probably not appropriate on this thread, but we hardly have more than a token presence in Track and Field right now - zero indoor meets and only one outdoor meet (the Calhoun invite) and trouble getting D1 schools to show up for it. Should it even be a factor in coming up with the best stadium design for our signature sport? NO WAY! Get rid of it and replace it with rifle, something which requires minimum facility and scholarship dollars to support. sealhall74 wrote: Frankly speaking and probably not appropriate on this thread, but we hardly have more than a token presence in Track and Field right now - zero indoor meets and only one outdoor meet (the Calhoun invite) and trouble getting D1 schools to show up for it. Should it even be a factor in coming up with the best stadium design for our signature sport? NO WAY! Get rid of it and replace it with rifle, something which requires minimum facility and scholarship dollars to support. I gotta say, I don't disagree with you on that. Honestly, looks a little disappointing from my perspective. I understand the state's financial situation and I get that the donor base for WIU isn't flush with cash, but I hoped we could do better than $10M over 4 years for a concept like that. To me, it reeks of DII football improvements, not FCS MVFC improvements. The track needs to go, something needs to happen in the endzones, and there still needs to be a better solution for the scoreboard and other AV components throughout (think advertisement dollars). 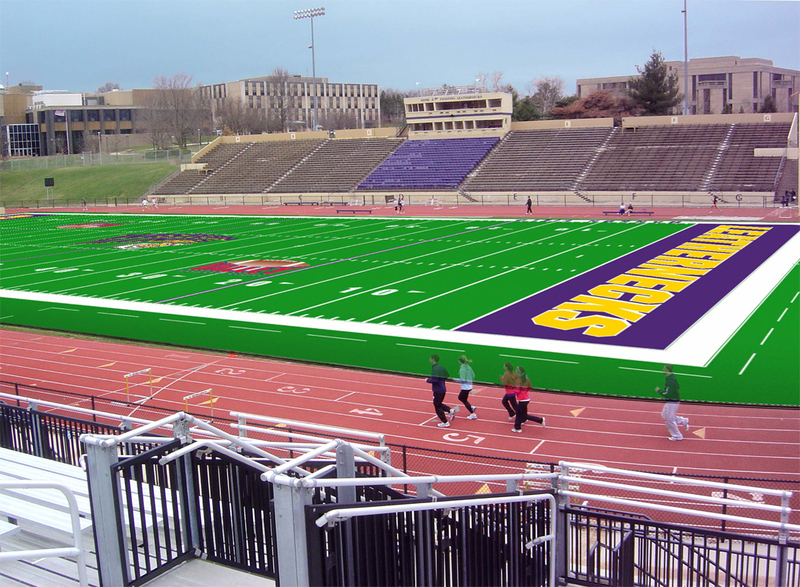 I don't care if it can't be done all at once, but come up with a comprehensive and cohesive plan that concludes with a truly FCS MVFC worthy football stadium. It's not bad, it looks nice and the architectural components fit well. It just doesn't "move the needle" very much in my opinion. Whispers 6-5 when I'd rather have it shout 9-2 with deep playoff runs. LocalYokelFan wrote: Honestly, looks a little disappointing from my perspective. 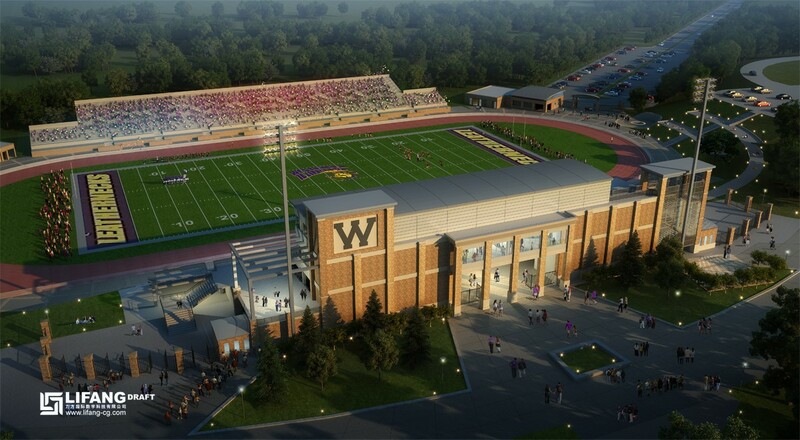 I understand the state's financial situation and I get that the donor base for WIU isn't flush with cash, but I hoped we could do better than $10M over 4 years for a concept like that. 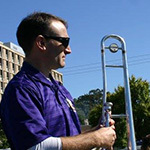 To me, it reeks of DII football improvements, not FCS MVFC improvements. The track needs to go, something needs to happen in the endzones, and there still needs to be a better solution for the scoreboard and other AV components throughout (think advertisement dollars). 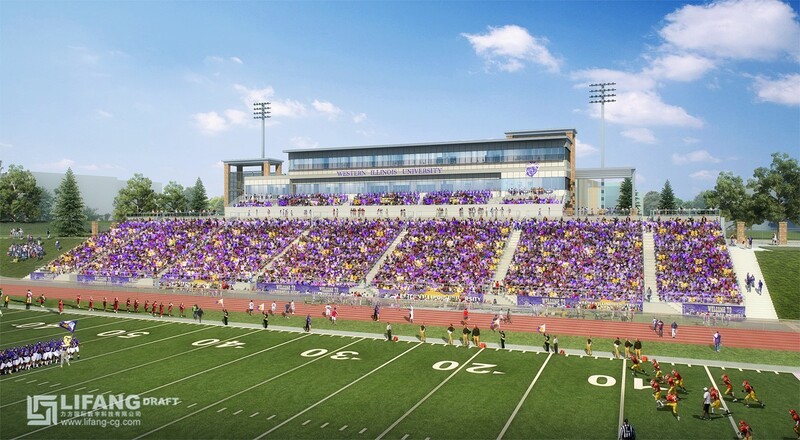 I don't care if it can't be done all at once, but come up with a comprehensive and cohesive plan that concludes with a truly FCS MVFC worthy football stadium. Local, just curious...do you mean that the $10M goal isn't very impressive, or that the designs/renderings aren't impressive? Financially, I think that the $10M goal is just a portion of the funding that will go into the project (stadium-wise, $10M won't get you much of anything these days....New Hampshire just completed building a "home side" stadium expansion similar to what our designs show and it was $25M.) So I think that there is likely other funding/donations lined up as well....naming rights, maybe a "big $" donor or two, etc. "To raise $10 million in individual/corporate support with the hope of leveraging additional funding in order to reach $25 million in total funding for the west side of the stadium."